Gamigon Live! : Outlast and Kingdom Heart 1.5 Remix To be Streamed on Gamigon Live! Outlast and Kingdom Heart 1.5 Remix To be Streamed on Gamigon Live! After an intense debut weekend with Dragon's Crown, I have decided to amp things up on Gamigon Live! Tomorrow Monday at 1 PM PST (21:00 GMT +0), I will play Outlast for the PlayStation 4 live for the first time in my life! Want to see me scream like a little girl? Be sure to join Gamigon Live! tomorrow on what I want to call Horror Monday! I will sit in a dark room with this game trying to be brave :). The fun does not stop there! On Tuesday at 1 PM PST (21:00 GMT +0), I will be streaming Kingdom Hearts 1.5 HD remix, on Proud Mode (Hardest Difficulty)! 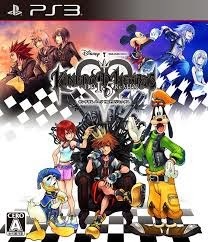 Kingdom Hearts is a game I have played a lot during the years and I still love. Do make sure to join me for that! And last but not least, after a week of Kingdom Hearts, I will play the game that won the Current Poll at the Gamigon Live Twitch page! Will it be Final Fantasy VII, The Last Of Us or Path Of Exile? You guys decide! Go vote for this Fridays game at www.twitch.tv/gamigonlive.